Any experience on sealed grow tents? Looking for anyone who has experience in sealed grow tents. How did you seal ? How did you control temps? Did you add co2 ? How bad did the smell leak and if it did what did you do to combat that? I wish I could afford more than one grobo. Same boat, also a one grobo harvest can’t keep up to my consumption. There are other options much cheaper. Led light, a pot, growing medium, fan, nutrients, good pH pen and a TDS/EC meter and your up and running for a fraction of the cost. Of course you need room for this, something to consider. I ordered a grow tent. I originally ordered a 4x4 but it was too big so I sent it back and now I’m waiting on my 2x4. I ordered a 300w and 700w light for growing and I’m going to do another dwc set up. I’m going to have 4 plants and the grobo growing at once. I’ve been reading up on different techniques. This aussie guy has been getting 1lb per plant. I’m going to try his technique. Also clones make a constant harvest faster. My husband goes through an oz a week so I have to keep up with his usage. I originally ordered a 4x4 but it was too big so I sent it back and now I’m waiting on my 2x4. 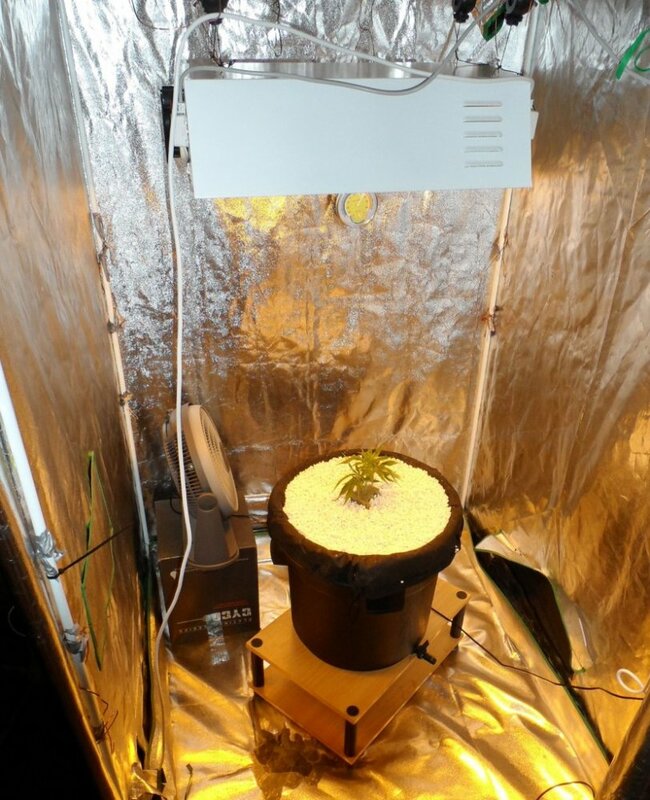 I ordered a 300w and 700w light for growing and I’m going to do another dwc set up. Sounds like a good setup. I was able to use a room and just bought some reflective Mylar. Summer ventilation/exhausting presents a challenge for me if I use a tent I have heat concerns. Hope to update progress pics on my grows, soon lol. Mac, 2x4 is too small. I’ve run it last grow and not enough room! 4x4 gives you the space you need. I dont have the space for 4x4. It took over my room. I’ll try to give find the blog. He has a constant flow of clones that he keeps so his grow time is always short.